The Reserve will be closed for a private event on Saturday, Oct. 20th, 2018. 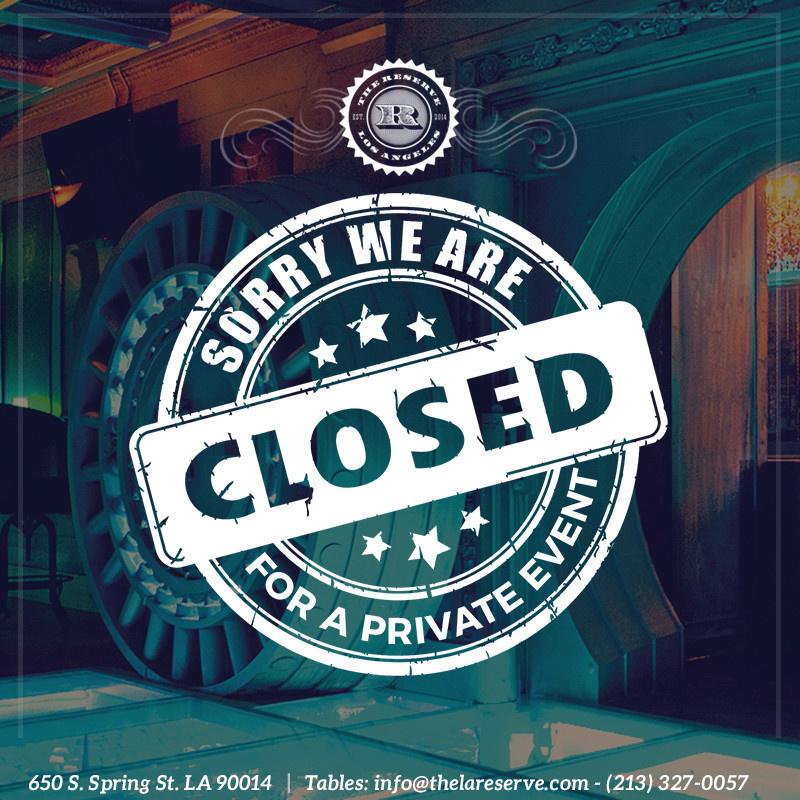 Please check in with us next week as we continue with our weekly Saturday nightclub. Thank you!